When it comes to grilling, lamb is often overlooked. Some people think the taste of lamb is too gamey. The really good lamb, grass-fed Australian or New Zealand lamb, can have that taste. Most American lamb is a bit milder, so give that a try. 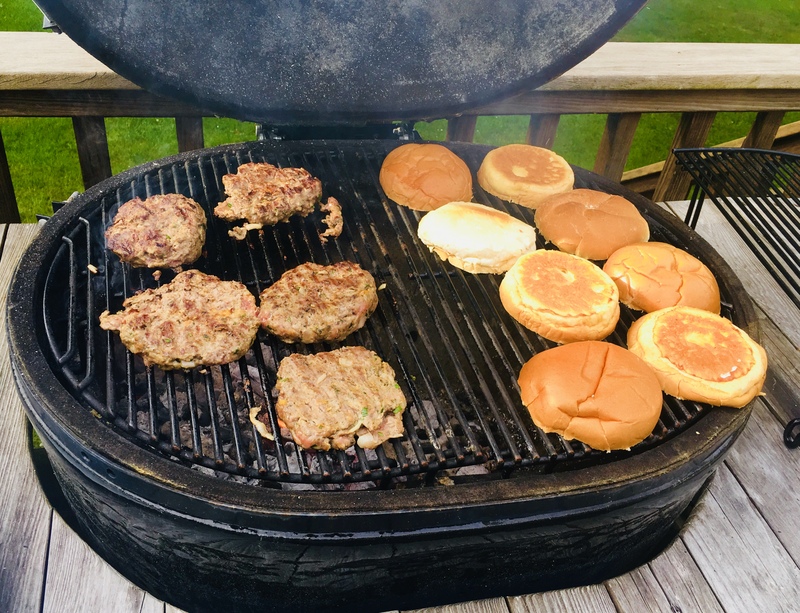 These lamburgers are best when grilled over hardwood charcoal. But they’re just as tasty if you pan-sear them in a cast iron skillet and finish them in the oven. I mix one pound of ground lamb meat with one pound of ground grass-fed beef to cut the gaminess of the lamb. The flavor is just right. Heat 2 tablespoons of the olive oil in a skillet over medium heat. Add the onions. Cook them until translucent, about 6 minutes. Transfer the onions to a plate and let them cool. In a bowl, mix the onions, mustard, parsley, mint, dill, oregano, cumin, garlic, scallions, breadcrumbs, egg, and salt and pepper. In another bowl, combine the lamb with the beef. Then add the onion mix bowl to the meat and make sure all the ingredients are combined. 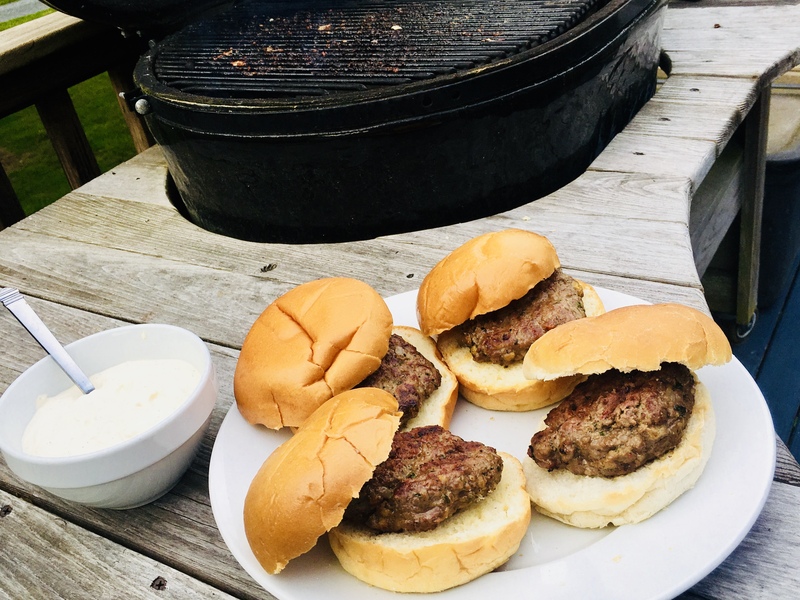 Form the meat into slider-sized patties. Place them on a baking sheet covered with non-stick foil, and place the baking sheet in the fridge. Don’t let the lamburgers get too cold in the fridge…just enough to firm the meat up a bit. If it gets too cold, give it a few minutes at room temp to warm up again. Grill the burgers until cooked to medium. If you’re cooking indoors, heat some lard or avocado oil in an oven-proof pan, preferably cast iron. 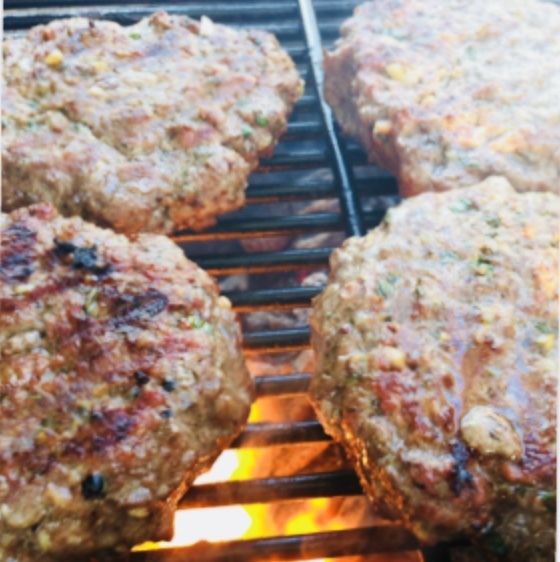 Sear the burgers well on both sides, then place the pan in a 350-degree oven to finish cooking. Place the burgers on slider buns with lettuce and tomato, and smear the bun with the feta cheese dressing. 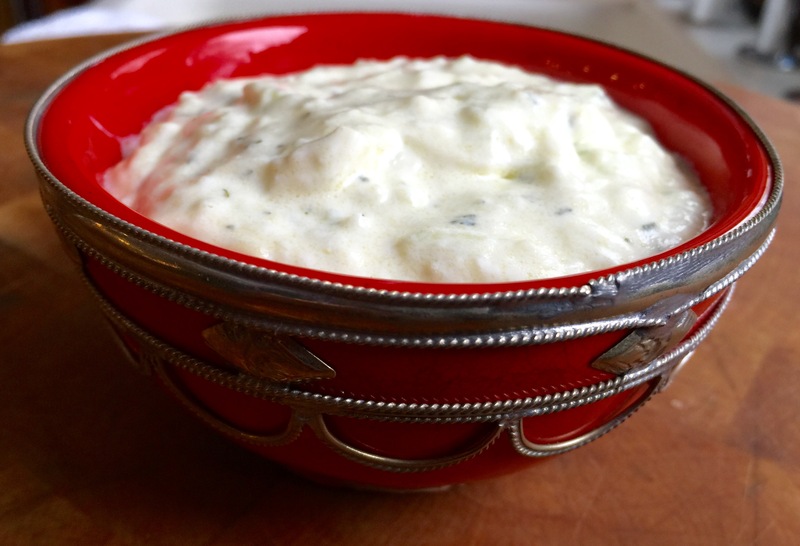 My recipe for feta cheese dressing works really well with lamburgers. But it’s also great on a salad. Combine all the ingredients in a bowl. Mix well. Cover and refrigerate. If you can wait a day, it’s even better.